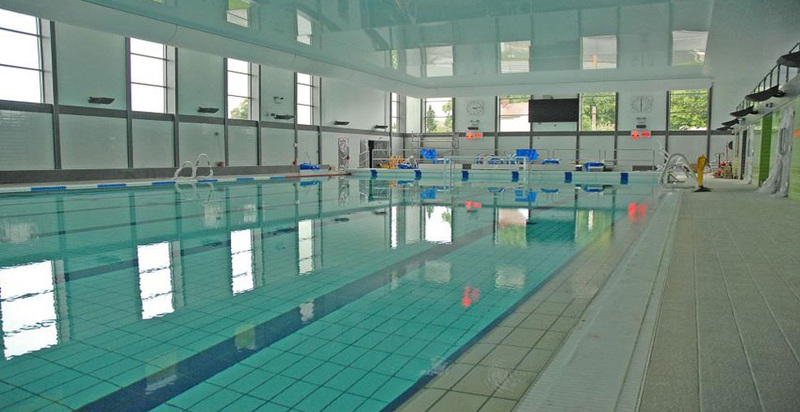 This Design & Build project involved the complete refurbishment and modernisation of Chase Leisure Centre in Cannock. Works included new doors, ceiling, windows and floor finishes, to bring them up to Fire, Building and Sport England regulations. 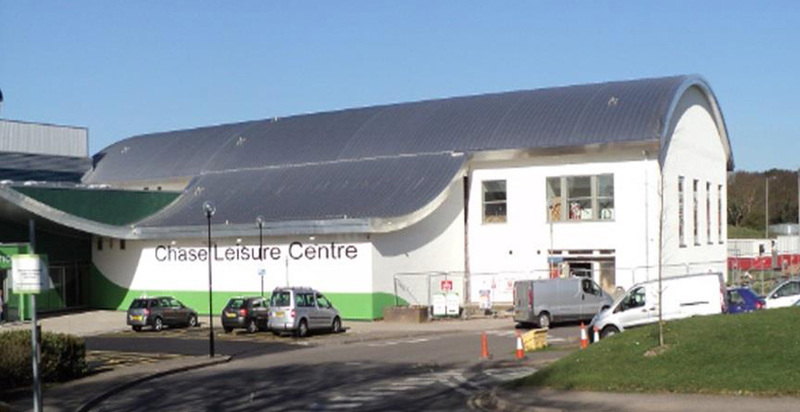 The building was re-roofed with a curved roof covering the swimming pool area. The external facades were re-cladded with insulated render. 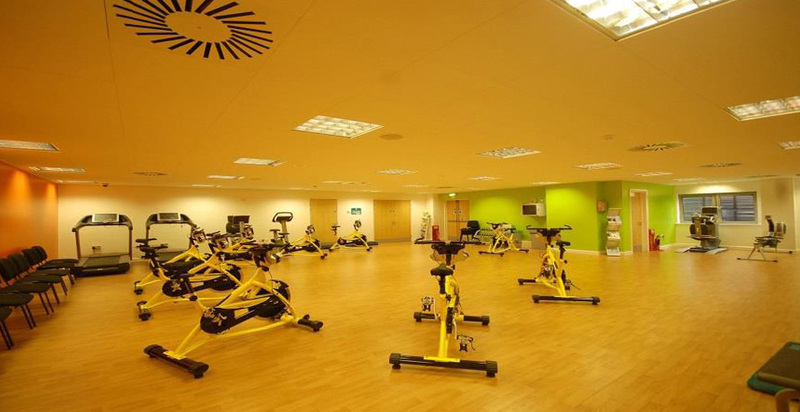 The project was carried out in 3 phases to allow for the leisure centre to remain open throughout the refurbishment programme. The facility now homes a new main entrance and café area, offices and back of house facilities. Main corridors were converted into a new gymnasium. The pool area was extended and a new wet changing facility created. A moveable floor was constructed in to the pool allowing a multitude of activities. The pools filtration equipment was completely upgraded. Refurbishment to the golfing area was carried out and a new golf changing area, reception and lounge created.